1. 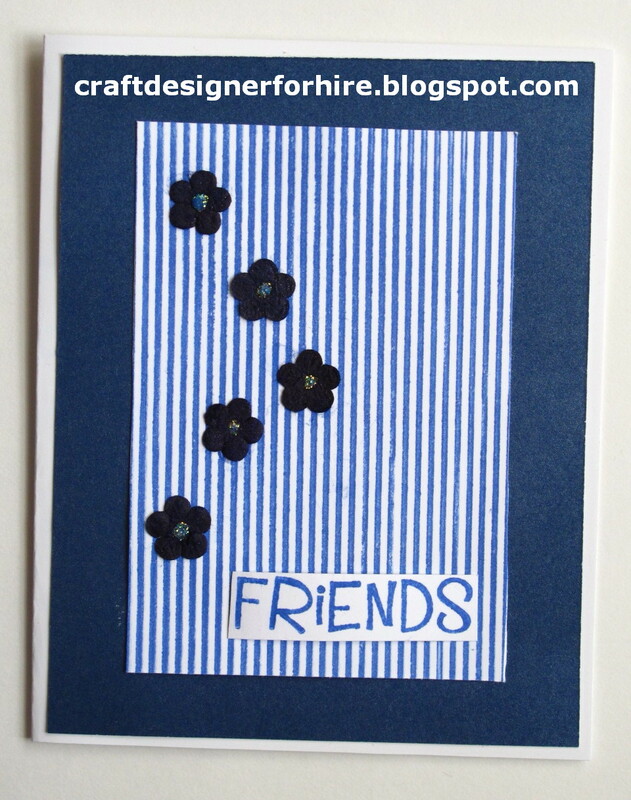 Cut the following: card base, two panels and white rectangle for sentiment. 2. Stamp images with Cerulean. Spray flowers with Smooch.